Our matchless women’s hair loss solutions allow women of all ages suffering from hair loss or thinning hair to treat female hair loss as though it were a thing of the past. 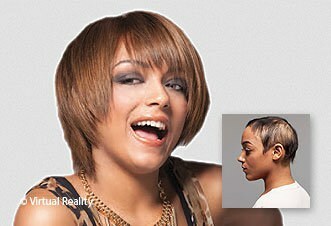 Female pattern baldness and thinning hair can be emotionally devastating, and embarrassing for most women. One in four women experience it. Millions more women suffer female hair loss as a result of alopecia, chemotherapy and other medical treatments. 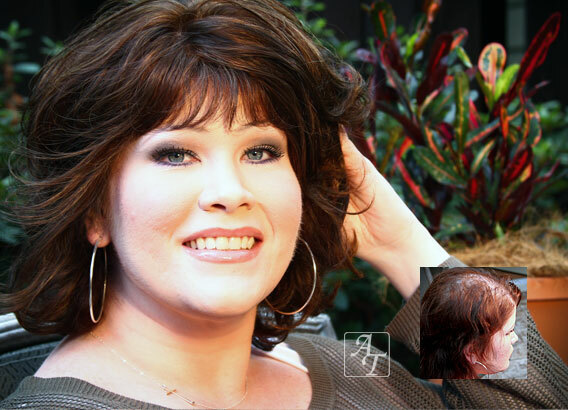 At Advance Techniques Hair Replacement Studio, in Richmond, Virginia, we offer all proven non-surgical hair restoration and hair loss treatment solutions for women to help you restore your hair and your confidence. Reallusions non-surgical hair replacement for women gives you the freedom to style your hair in any way you like – long or short, curly or straight – any color, length or style. Women’s hair replacement can be beautiful, and with Reallusions, you can fall in love with your mirror all over again. Introducing Virtuesse Hair for Women, the latest women’s hair replacement technology offering the density, length and style you want and deserve. 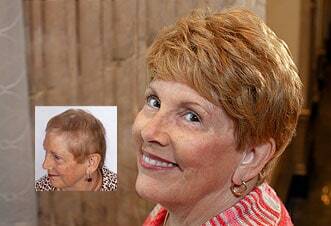 And we are proud the be the exclusive Richmond area provider of this amazing women’s hair replacement solution. Advance Techniques non-surgical hair replacement solutions for women combine unmatched artistry with the latest in hair restoration technology to give you the perfect look and style look you’ve always dreamed of. Pick your favorite look, style, color and length, and restore your hair and your confidence in just one afternoon. It really couldn’t be easier, or more beautiful! At Advance Techniques Hair Replacement, we constantly strive to give you the freedom to choose the perfect hair loss solution to fit your needs. We provide our clients with personalized custom solutions that are so incredibly natural that there is simply no reason to suffer from hair loss or thinning hair any longer.